Like many people who decide to leave their home countries to teach English, my partner Jane and I grappled with an armload of questions – Is this the right decision for us? Where do we want to go? How long do we want to be away from home? How much money should we bring? What personal items should we take? Those were just a few of the things we had to consider, and we depended on Oxford Seminars to help us find our ESL teaching jobs and guide us on our adventure. 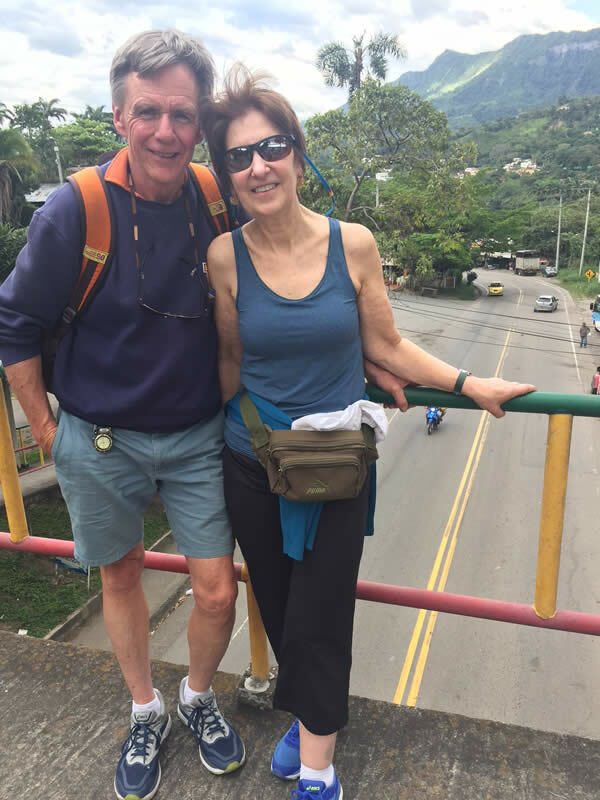 We eventually narrowed our options down to about five possibilities – including programs in Chile, Peru, Costa Rica and Mexico – but we decided on a 6-month contract teaching English to adults in Colombia. We felt more comfortable teaching adults, and we were impressed during our Skype interview with the program representative. The school we went with also allowed us to have a flexible teaching schedule – something that was high on our priority list because we wanted time to explore Colombia and take long weekend trips. 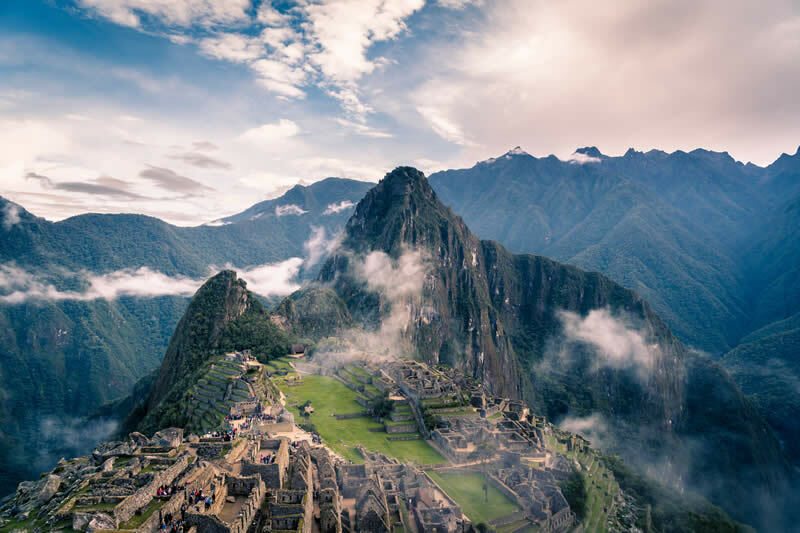 Visits to Machu Picchu and Cuzco in Peru and Quito, Ecuador, were early entries on our must-see list. 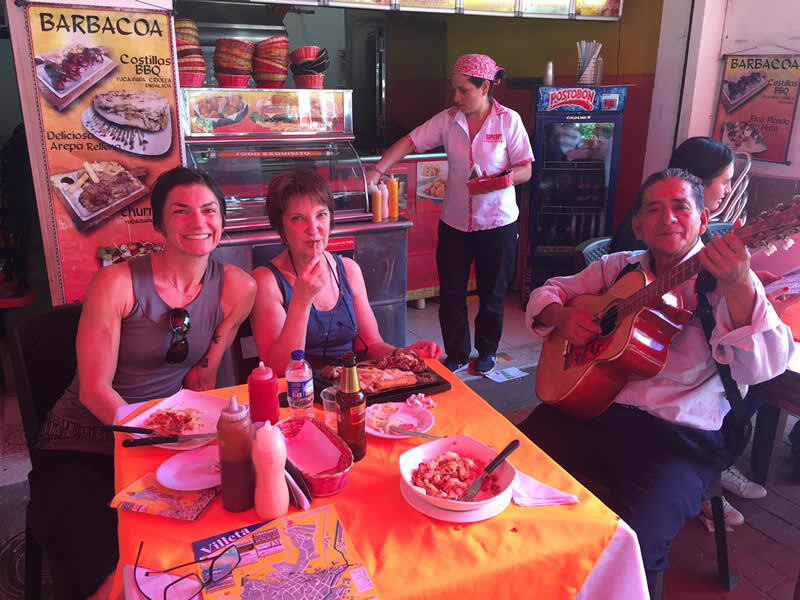 Jane and I quickly discovered that there is a lot more to the experience than just teaching English in another country. We bonded with our students, and we always look forward to visiting with them at their businesses for our 1 ½- to 2- hour teaching sessions. Soon after our arrival, we realized that things like getting our Cedulas (residency cards), bank accounts, national health coverage and iPhone, television and email service were challenges we had to deal with. Luckily, the staff at our school was there to help us. Our advice to you is this: Do your homework prior to going on your new adventure. 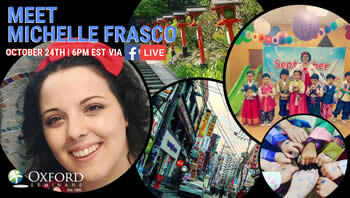 Learn about the country you are going to and do your best to learn the language – it helps. My basic Spanish has sometimes gotten me into trouble here. I ask a question, and people think I’m fluent! As a result, we’re both taking Spanish lessons. Despite these challenges, we are more than pleased with our decision to come to Bogota, this bustling, teeming city of more than 8 million. Through a chance meeting at a coffee shop with a local real estate agent we found a great apartment in Chico Norte within walking distance of our students’ workplaces. 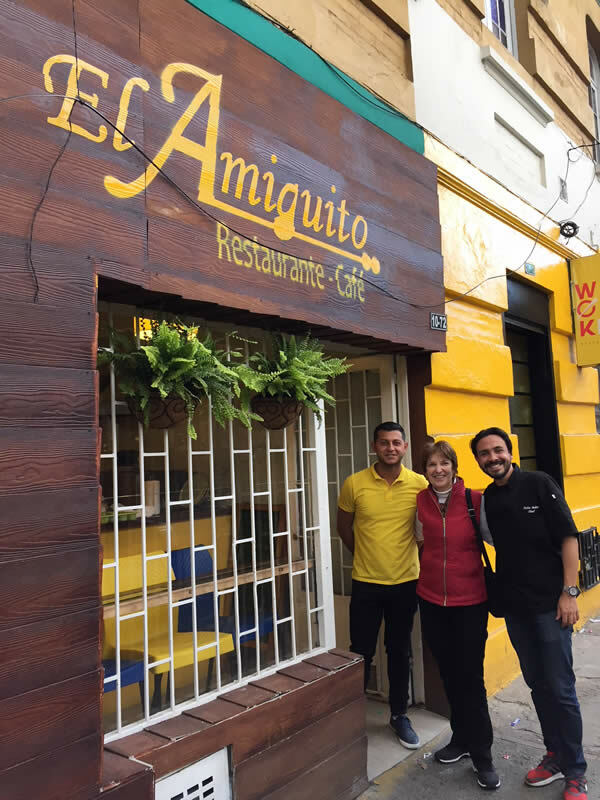 Now, we’re finding more time to explore sprawling Bogota, whose eastern boundaries cling to the edge of the verdant Andes Mountains – from historic La Candelaria, to blue collar Chapinero, to the upscale Usaquen neighborhood. Bogota has lots to offer in terms of shopping with its mega malls and many retailers that are familiar to Americans, as well as corner tiendas where I can practice my Spanish making deals. We’ve also learned how to negotiate with used furniture dealers in Chapinero. The city also has myriad varieties of restaurants and bars that always seem to have customers. They offer a wide selection of typical Colombian food and menu staples you would find in any restaurant in the U.S.
It’s a cosmopolitan city with lots to discover in terms of its 16th-century beginnings to its place now as a 21st-century metropolis with corporate offices ranging from Abbott Labs and CitiBank to Liberty Mutual and Nestle. Bogota is a working city – not a place for a vacation in the sun. But with its large system of bike trails and its Sunday Ciclovia, when the city shuts off its major highways to traffic for bicyclists, dog walkers and skateboarders, it’s a great place to get in some cycling. Many of our students bicycle to work, as do I to one of my corporate clients. Our students are well along on their way to English fluency. It’s our job to refine their grammar, syntax and pronunciation skills and hone their speaking abilities. Their language skills and desire to improve their English to better interact with business peers, allows us to have deep conversations about a variety of issues – including the Colombian presidential elections to the impact of the FARC peace talks and U.S. politics – all with the goal of helping our students. 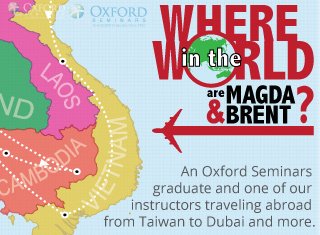 Start Your New Career Abroad! Rich Lee spent 38 years as a journalist, business reporter, and editor. 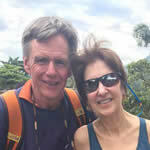 He and his partner Jane Lazgin earned their TESL/TEFL/TESOL certificates with Oxford Seminars. 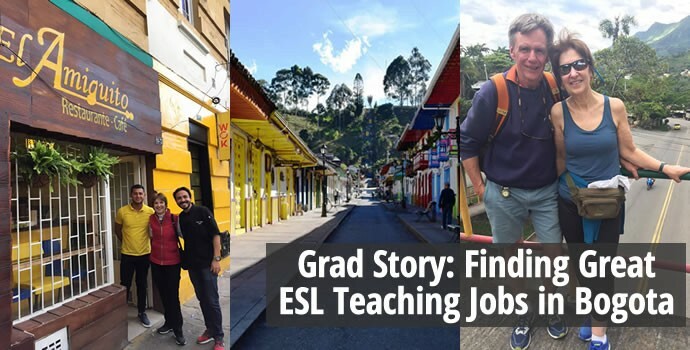 They taught ESL as volunteers in Connecticut before teaching business English in Bogota, Colombia.